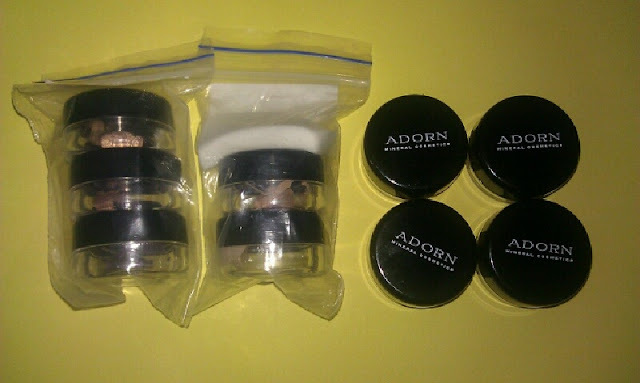 As apart of the October Lust Have It Box which I received in the last week of October I noticed a $15 credit voucher for Adorn Mineral Cosmetics [http://www.adornmineralcosmetics.com.au/]. As you can see you don't really get that much product in this sample which is a real shame because this product is really great. The texture is creamy and the product doesn't flake. 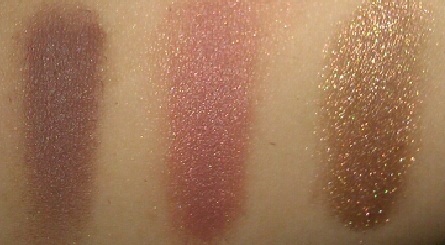 These are good to use as a base for eye shadows or on their own. They're comparable to Maybelline's 24 hr tattoo eye shadow range. The colours are gorgeous and would suit all eyes. 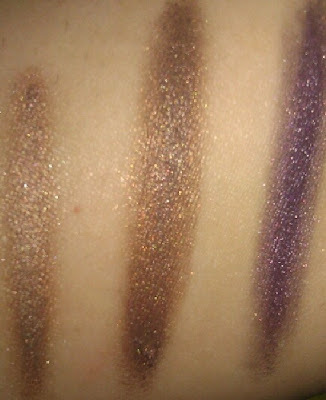 There are 2 shades that look very similar with one being a more bronze toned colour and the other being a cooler toned taupe colour and the last shade is a deep purple. All the colours are have a slight glitter to them (they show up more glittery in the picture than they do in person) & they have a more metallic finish to them. 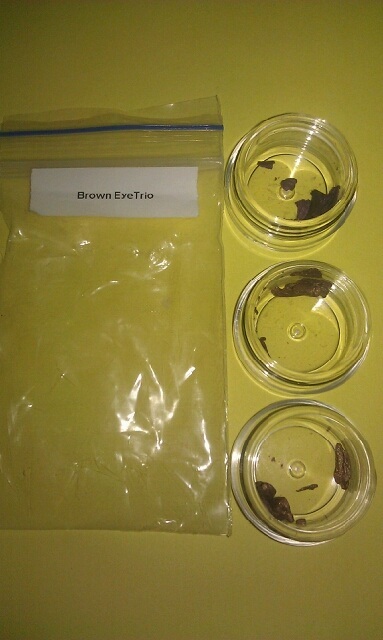 I chose the brown eyes trio as I though it would be the most neutral but they also do a Green Eyes Trio & Blue Eyes Trio. I loved this sample but would not pay $2.50 for this sample size as it is very small. 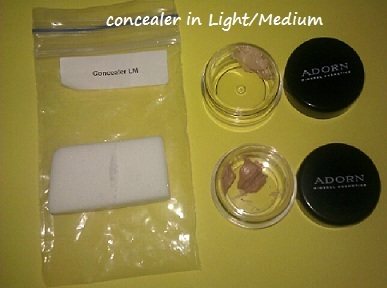 The Next Sample I chose was the Adorn Cover Correction Concealer in Light/Medium. Again with this sample you don't get a lot of product but with the concealer you don't need to use as much of the product & the sample size does last a while. This is a Cream Concealer. This product has very nice coverage. The medium toned one is of a salmon colour & is great for covering dark circles. 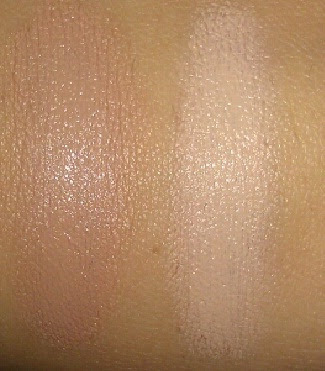 It is a great match for my skin tone and blends in effortlessly without creasing throughout the day. The Light Concealer I've found isn't the best match for my skin tone but it works just the same as the Medium and I use this one more for blemishes I want to cover under my foundation. This Eye Shadow is AMAZING I've tried other mineral eye shadows before and they tend to irritate my eyelid (even if i use primer) but this one is different it goes on nicely and gives great colour with very little fallout. The colour is a mix between a Bronze and a Rose Gold and is just gorgeous. I think this colour would look great on all skin tones and is a must have for neutral eye junkies like me :) I'm very pleased with the size of the sample as well it has lasted me a while and I've been using it almost every day. 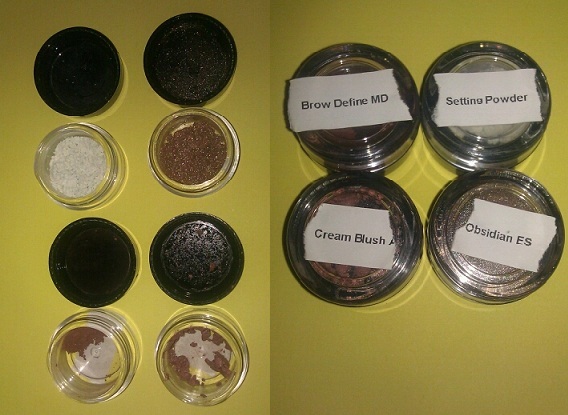 The Brow Define Brow Dust in Medium DarkThis just looks like a standard brow powder. I do like the way this product works and looks on me but i feel i should have picked up the darkest colour as my brows are almost black. This colour is slightly to light for me but i make it work. With this sample i feel you don't get as much as the other 2 powder samples and isn't really worth the $2.50 price tag but if this were a free sample it would be perfect. Great review, I really should have ordered some powder products! Ordering the cream blushes were such a waste. I love Obsidian! Well I would be a new follower if i could... add the followers gadget in the layout page! haha omg thank you i've been trying to work out how to do that for an hour.. i feel quite embarrassed. I ordered mine last Sunday and they haven't come yet. I live in Melbourne. I might make an order of 6 of the same sample and see what happens. Nice blog, I'm a new follower. Thanks for commenting on my post. I can't beleive they only gave you so little for concelear. 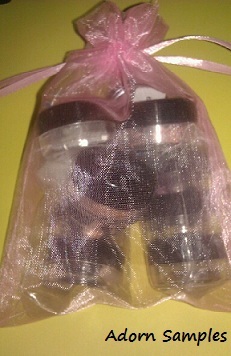 I think for $2.5 each sample, they should at least fill up that tiny jar. anyways, you wrote a great review!!!! I just subscribed to your blog!